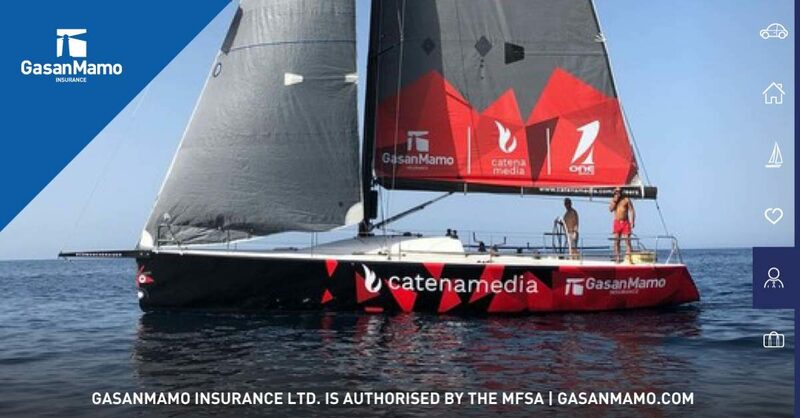 GasanMamo Insurance renewed its sponsorship agreement with Comanche Raider and will be sponsoring the racing yacht, Comanche Raider III for the next three years. Guided by Maltese prominent sailor, Ramon Sant Hill, Comanche Raider III was bought from its previous owner in November of 2017 and since then has been undergoing a major overhaul. “We have extended our agreement with Comanche Raider and delighted that we will be sailing with the new racing yacht in this year’s upcoming events. As GasanMamo we are excited to support the Maltese boat and crew in the next sailing events, namely the Bay regatta which will be on 1st & 2nd September and in October, the 50th anniversary of the Rolex Middle Sea Race. We have been admiring the hard work, dedication and collective team effort shown by the crew since 2001. We have followed the imposing progress shown by the crew of Comanche Raider II and we are now thrilled to extend our support to the new Comanche Raider III,” said Mark Mamo, General Manager at GasanMamo Insurance. Comanche Raider III is a Bruce Farr Design 14.0-meter racing sailing boat (Farr 45). The boat was constructed in Maryland USA, by Carrol Marine, in 1997. 20 identical Farr 45’s was constructed over a period of a few years and to date all twenty are still racing, and quite interestingly all 20 still sail with their original carbon masts which proves the quality of these boats. “Following the success of Comanche Raider III in Camilleri Marine Ragusa Regatta, the crew is thrilled with the performance of the boat and we have high hopes for the upcoming events,” said Jonas Diamantino and Ramon Sant Hill. For the 2018 Middle Sea Race the team will be led by Jonas Diamantino, Melle Boersma (Holland) and Ramon Sant Hill who will be making their 14th attempt together to win this most prestigious race. The total crew compliment for this race will be 10.